What: 27 hours of FUN, exploring music-art-yoga and OUR own hearts! This is a FREE retreat, all inclusive! Thank you PenMet Parks! Only high schooler who attend the retreat is not a commitment to lead middle schoolers, that will be your choice after the retreat. 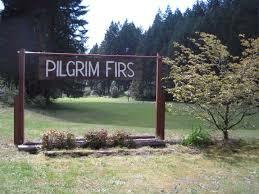 Transport: Leaders will be responsible to secure their transportation to and from Pilgrim Firs. jess will coordinate with willing carpool parent drivers and assist you as needed to make sure you get there! To Bring: Comfortable clothes, one handmade gift item, yoga mat, and any musical instrument you play. 4:00p Choice time: Let’s Play!